Peterson Bradford Burkwitz, is pleased to announce the addition of our attorney to the firm: Lafayette J. Clarke. Lafayette’s experience encompasses several aspects of litigation, including strategy, law and motion, and witness preparation. 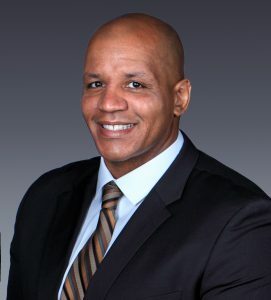 Prior to becoming an attorney, Mr. Clarke owned and operated a private security and investigations firm that primarily serviced high-net-worth clientele. He was also a business affairs and business development executive for several private equity firms. Mr. Clarke studied communications at Indiana University-Bloomington where he was also a member of the Indiana University football team. He earned over a dozen Bill Mallory Hit and Hussle Awards and participated in several NFL and CFL try-outs. Mr. Clarke completed his Juris Doctorate studies at Western State College of Law. During his time at Western State College of Law, he served as President of the Black Law Student Association and was an active member of the Student Bar Association. While a law student, he also interned with the Fox Broadcasting Company and law clerked in the Seyfarth Shaw labor and employment practice group. Lafayette will be working along with our other lawyers in the firm to provide top legal representation to our clients. Welcome to the firm Lafayette!